I really wanted to go to Vacation cafe from the moment that I heard about it because of its decor. It’s bright, cheery, quirky, colourful and really the epitome of what I expected all cafes in Australia to be like before I got here. Located on Exhibition Street, a stone’s throw away from Melbourne’s Federation Square, Vacation is centrally located however it could be easily missed if you weren’t looking for it. The cafe’s venue itself is actually quite small however it packs in a quite a few tables and its bright decor and high ceilings give the impression that it’s a lot bigger than it looks. Despite its location, Vacation seems to lack the sense of morning franticness that a lot of other Melbourne’s cafes have. It’s actually a very tranquil and chilled place to sit for a while, so nice in fact that it would be a shame to just grab a coffee for takeaway. Vacation specialises in premium coffee and actually roast their own beans off-site. The coffee menu is fairly basic but like most of the city’s cafes, you can pretty much order whatever coffee you would like from the barista. Food wise, Vacation offers a small and affordable breakfast and brunch menu as well as a good selection of cakes and pastries. 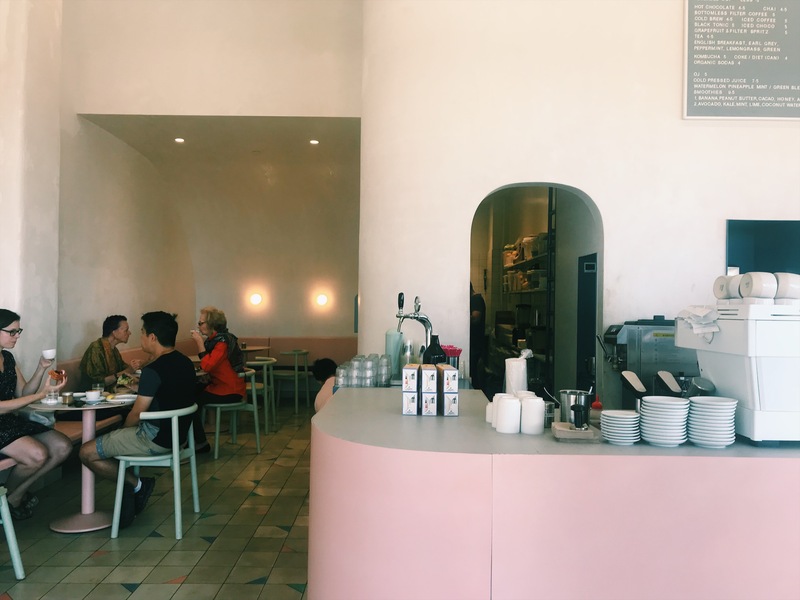 Looking for cafes in Melbourne? Check out my other featured cafes here.